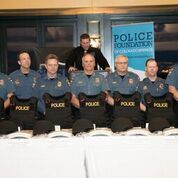 CLICK HERE to go to a page on the website. 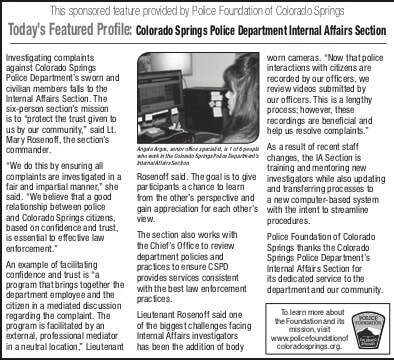 Protecting the community's trust in the Colorado Springs Police Department is the responsibility of the department's Internal Affairs Section. This is done by investigating complaints against department members and reviewing department policies and procedures. This profile appeared April 11, 2018.